Comment: House in historical wood streets district, so can only do sides and back. Want the windows to match the originals. Comment: The window in my bathroom door was cracked while I was using a weed eater. The window may be double panes but the entire window is cracked top to bottom. The window is approximately 66 inches long and 21.5 wide. Comment: Take out current window and replace with a new one, master bathroom. Comment: Replace sliding door screen. 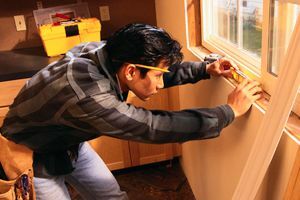 Riverside Window Replacement Companies are rated 4.78 out of 5 based on 1,000 reviews of 35 pros. Not Looking for Windows Contractors in Riverside, CA?